Vacancy: Digital Communication Campaigns Officer. The Media Foundation for West Africa, a regional Free Expression Rights and Media Development Advocacy Organisation is seeking an ideal candidate to fill the position of Digital Communication Campaigns Officer, for a six-month contract. The position holder will be based at the organisation’s head office in Accra. • Ability to work under pressure while meeting tight deadlines. Apply for the position by sending cover letter and CV to vivian@mediafound.org or daisy@mediafound.org Only shortlisted candidate will be contacted. Closing date for applications Tuesday, October 20, 2013. Selected candidate will start work from November 1, 2013. Top Agricultural blog? Submit your blog and win up to 3000 Euros! Top Agricultural blog? Submit your blog and win up to 3000 Euros!. The Technical Centre for Agricultural and Rural Cooperation ACP-EU (CTA), in collaboration with FARA, Yam-Pukri, CAFAN, AYF, ANAFE, SPC/PAFPNET ande-Agriculture is pleased to launch the 2nd Edition of the Youth in Agriculture Blog Competition (YoBloCo Awards). Promote the sharing of information on the issues of agriculture and rural development in African, Caribbean and Pacific (ACP) countries. This category is open to students in agricultural training courses, young farmers, journalists or other young people interested in ICT or agriculture. young members of any organisation interested in agriculture, rural development and ICT. For this competition, an organisation is understood as any type of non-profit or for-profit association, cooperative, forum, network or related grouping, excluding government institutions. Organisations that receive funding from governments but are not formal governmental institutions can be eligible if they fulfil all criteria. If the organisation or grouping submitting an entry is not officially registered in the country, it should be recommended, via a letter of recommendation, by a national partner organisation, which is officially registered. When young members of an organisation are submitting an entry in the “Institutional category”, they should apply on behalf of their organisation. If the entry wins an award, it is the organisation, which will be declared winner and will receive the cash prize. The blog creator or a representative of blog creators (if it is a team) will be invited for the prize giving ceremony and receive a trophy on behalf of the winning organisation. When a team applies on behalf of their organisation, the person representing the team must be specified in the application process. The cash prize won would be sent to the organisation. For both categories, the young people participating must be between 18 to 35 years old (by the time of submission) and be nationals of ACP countries signatories of the Cotonou Agreement (see Note 1 below). 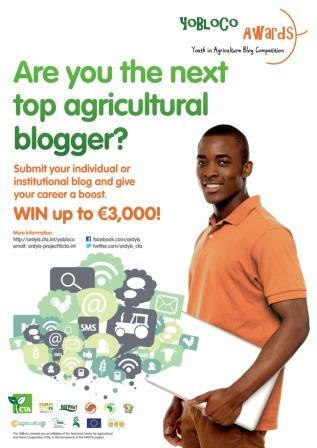 Individuals or organisations who wish to submit a blog and take part in the competition will have about 4 months to prepare or update their blogs with content related to agriculture (see Section 3 below). Blogs and all required information/documents will be submitted via an online form between December and January 2014 (the link to the blog submission form will be provided on this page as from 2 December 2013). The blog submitted can be a newly created one, or an existing one but which has been recently updated with content related to agriculture. However, mainly blog posts from the commencement of the competition will be judged. A blog that deals with, or contains posts/articles on subjects other than agriculture must include, consistently (see Note 3 below), new articles related to agriculture, in order to be considered eligible. In the context of the YoBloCo Awards, “new articles” or “new posts” refer to texts published between the launch of competition until its closure (please check section 7 below for the deadline). Posts/articles considered for the competition must be in French or English and can be related to one or several ACP countries. Any other agriculture related theme or issue. There are two different processes for the two blog categories. The eligible individual blogs submitted will first go through a public evaluation process, whereby the online audience will vote for, and comment on the blog that they like the most. Following the public evaluation, 15 finalists will be selected based on the number of votes they will receive, and they will finally be evaluated by an independent jury composed of expert in the field of ICTs and Agriculture. The first prize for this category is 1500 Euros and other prizes will be awarded! Blogs in the institutional category will also go through the public evaluation process, whereby the online audience will be required to leave comments on the blogs that they like the most (there is no limit on the number of blogs to comment). The jury will then choose the best blogs per region for this category and will take into account comments made by the public. The prize for this category is 3,000 Euros per winning organisation. In addition, some of the most appreciated blogs by the public may receive special rewards from organisers if the jury does not select them. Updates on the whole voting process and results will be shared regularly on theYoBloCo Blog and entrants who are subscribed and submitted a blog will also be informed by email. Votes and comments on blogs will end in March, 2014. Winning blogs and other best blogs will be promoted by CTA and its partners’ various channels. In addition, authors of winning blog or other best blogs will have the opportunity to be involved in future activities of CTA or its partners. The date of the prize giving ceremony will be announced subsequently. a. Winners of the 1st Edition of the YoBloCo awards (3 winners from individual category and 3 winners from institutional category) are not eligible to submit their blog again for the competition. However, best entrants who did not receive a prize for the 1st Edition of the YoBloCo Awards can submit their blog for this new Edition. b. The organisers reserve the right to reject any application that does not meet the contest criteria and the present regulations. c. Participation in the competition implies an explicit agreement given to the CTA to make public, as needed, the experiences described, as well as participant’s identity. Moreover, it constitutes an agreement given to the CTA to use the experiences described in its publications and for promotional activities. d. CTA will not return to the participants documents submitted. e. By entering, participants warrant that content on the blog does not infringe on any third party’s rights. f. All local taxes on prizes, if required, are the sole responsibility of the winners. g. If, for any reason, the contest cannot be conducted as planned, the CTA reserves the right, at its sole discretion, to cancel, close, change, or suspend it. h. Youths directly working for CTA or ARDYIS advisory Committee organisations are not eligible to participate. However young people working for partners of these organisations are eligible. i. Applicants will be informed about the competition results by email to the addresses provided in the blog submission form. l. All contest participants implicitly accept the rules presented in this document. Note 2: The main elements that will be evaluated are the blog animation and content. Note 3: To be evaluated by selection committees. Note 4: This theme is designed directly along the core theme of the United Nations2014 International Year of Family Farming (IYFF). Note 5: For the special prizes for the best blogs with business potential, the jury may contact potential winners for more details on their projects. Mentorship opportunities will include advice for the finalization of the blogs, capacity building opportunity, etc. The purpose of the ARDYIS (Agriculture, Rural Development and Youth in the Information Society) project is to raise youth awareness and improve their capacity on agricultural and rural development issues in ACP countries using ICTs. The Advisory Committee for the project is made of the following institutions: Forum for Agricultural Research in Africa (FARA), African Network for Agriculture, Agroforestry and Natural Resources Education (ANAFE), Pacific Agriculture and Forestry Policy Network (PAFPNet), Caribbean farmers’ Network (CAFAN), Yam-Pukri association, African Youth Foundation (AYF). ARDYIS activities will contribute to the promotion of opportunities for youth in ACP countries in the agricultural, rural development and ICT sectors. For the 1st Edition of the YoBloCo Awards, 92 blog submissions from 25 ACP countriesand about 3,000 people from ACP and non ACP regions contributing to the public evaluation of the blogs. 6 blogs (3 individual blogs and 3 institutional blogs) were awarded. Best entrants in both categories were invited to attend the IAALD Africa Chapter Conference and prize giving ceremony of the YoBloCo Awards, held in Johannesburg, South Africa, from 21-23 May 2012. Feel free to contact us if you have any question or if you want to join the ARDYIS project discussion list to exchange/receive information about youth, ICT and agriculture. Does personal branding really matter? This is it: whether you are a job seeker or entrepreneur, your personal brand and online presence has immense effect on you. A recent survey by Jobvite stated that more and more recruiters are turning to social media to aid them in their job recruitment, and that an individual’s online presence is one great determinant for securing a job. Discovery – Personal Discovery ~ Purpose. Development – Working on your talents ~ Preparation. The goal is to build a brand base on authenticity, value creation and service. Here again, according to the bayt.com report, about 9 out of 10 search for people’s profiles online after they have applied for a job or about to meet in person either for business or the activities. It’s proves that personal branding and having an online presence is really important in this age, and that it can either work for or against you. From the report it stated that, “In fact, even something as simple as a photograph could influence decision-makers, with eight in 10 (79.6%) respondents of the belief that their online photo effects how they are perceived.” The crust of the matter is that these polls were not conducted anywhere than East and North Africa. It’s now time to take your personal brand seriously. Don’t be left out. “With the speed of changes in the world today, success has no geographical borders. In this engaging book, Bernard Kelvin Clive shares principles from his own success in Ghana that can inspire and guide readers anywhere in the world. With a gentle and humble spirit, he reminds us that building a name for ourselves is most easily done not by manipulating and pushing but simply by serving others. 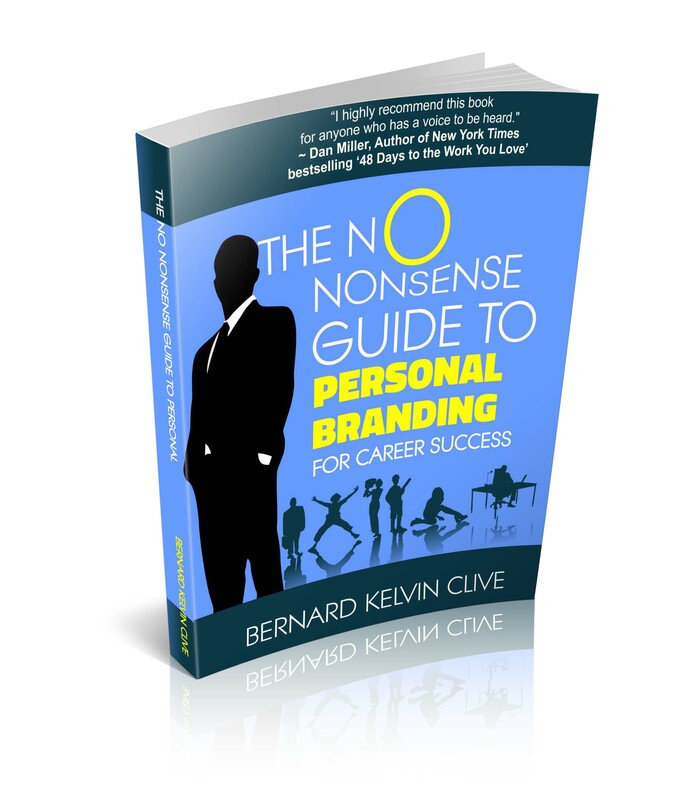 I highly recommend The No Nonsense Guide to Personal Branding for anyone who has a voice to be heard.” Dan Miller, author of New York Times bestselling 48 Days to the Work You Love. Clean Team Ghana Nominated for GUBA Awards 2013. 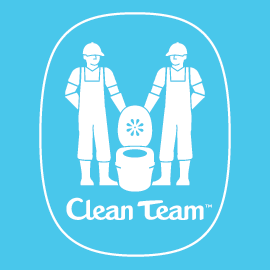 Clean Team Ghana is announced as one of the finalists in the Business and Enterprise (Sustainable Business Award) category, of the 4th annual Ghana UK Based Achievement (GUBA) Awards 2013. GUBA unveiled all nominees at its press launch at the House of Commons, 5th September, presided by MP Diane Abbott. GUBA is a non-profit awards event, which celebrates exceptional achievement, talent and ability in the British Ghanaian community and, also, of valuable services provided to Ghanaians in the UK or Ghana. As well as proudly celebrating its rich culture and traditions, GUBA also provides a platform that showcases successes from within the Ghanaian Diaspora across the fields of business and commerce, health, sport and entertainment. GUBA 2013 nominees include scene stealers like music artists Tinchy Stryder and Sway and Kanya King, the founder and CEO of Music of Black Origin (MOBO) awards. Andy Narracott, CEO of Clean Team Ghana said “We are very excited that our work has been recognised and for being nominated alongside such inspiring companies. Our aim is to offer a convenient and affordable sanitation solution to the urban poor. Our customers received a branded, portable toilet when they sign up to a monthly payment plan. Our staff collect the waste on average 3 times a week and dispose of it safely, where it can be converted into valuable resources such as fertilizer and energy. We recognise that safe and adequate sanitation is vital to a healthy society but also believe people should be given the opportunity to improve their own lives as customers, rather than as the beneficiaries of charity”.